Beer, bourbon, a magnifying glass. 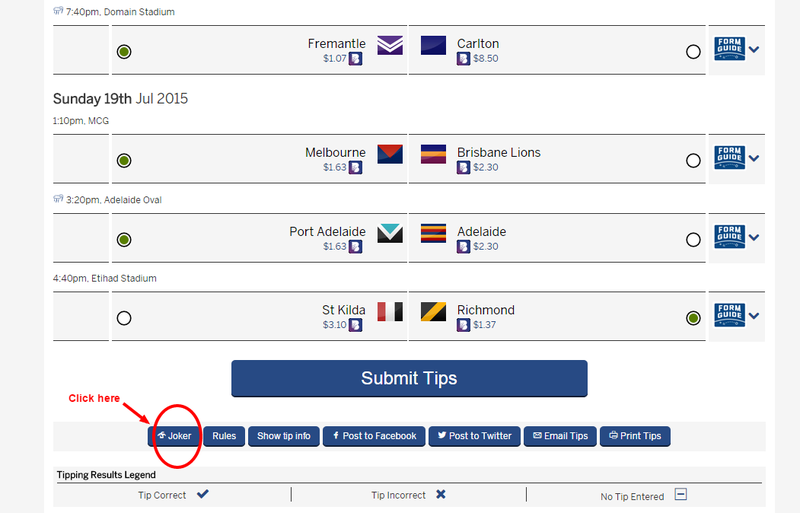 log in to the footytips site and click on your tipping link as per usual. 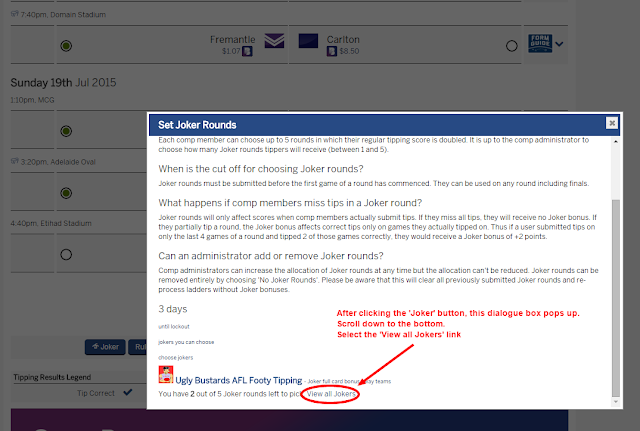 Once you've selected your teams for the round, you'll see at the very bottom of the page (if you use your magnifying glass) a 'Joker' button. 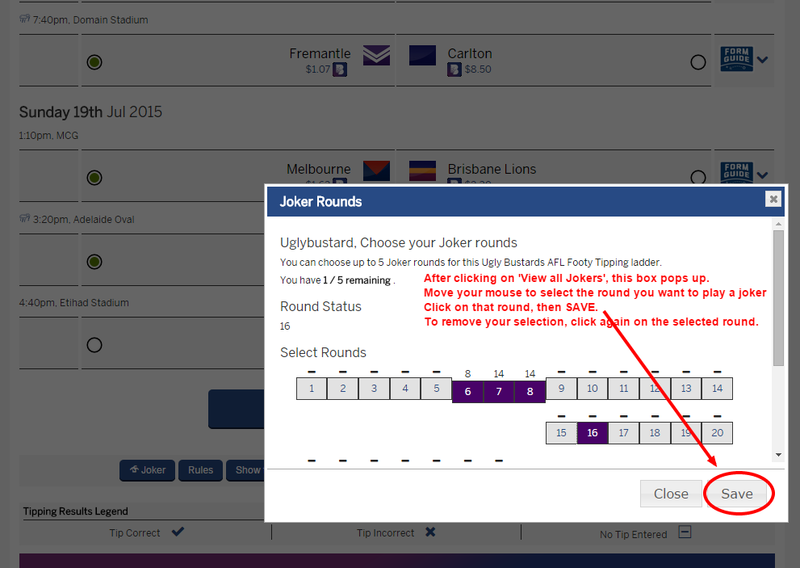 Click on the 'Joker' button, and hey presto, a box pops up. Scroll to the bottom of this box, and you will see a 'View all Jokers' link. Click on this link. Lo and behold another box pops up. How did that get there? I hear you say. This box shows all the rounds of footy. You'll be able to select Jokers for upcoming rounds, but not for past rounds. Now that makes sense doesn't it. Once you've selected your joker(s), click the SAVE button. 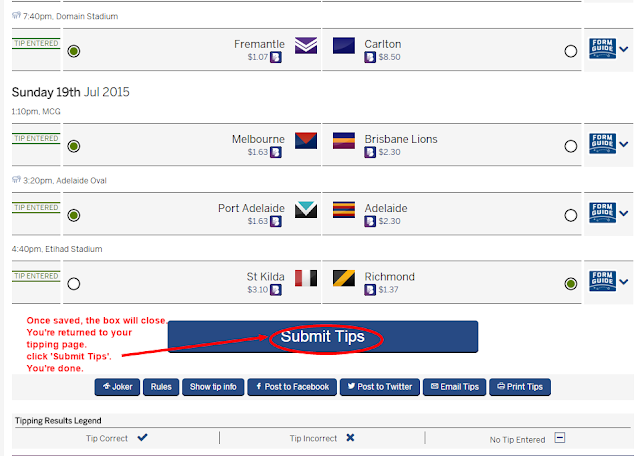 When you click SAVE, the box closes and you find yourself back on your tipping page. Click 'Submit Tips' and you're done. Like a dinner. finish beer, bourbon, eat magnifying glass.